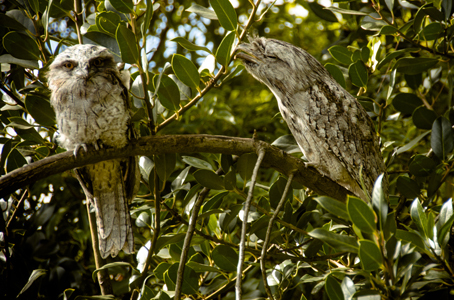 My mum and dad have things lurking in their trees, surprising nightlife things. 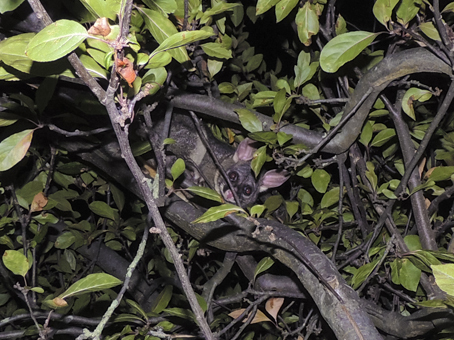 Darren managed to snap the rather clumsy possum who lives in the tree opposite my parents back deck. He thumps around at night and although Wikipedia describes possums as "arboreal", this one seems to fall a little short of that description as he slips off branches and thuds around like crazy. We found these two having a morning snooze at the bottom of the garden. Aren't they marvelous? We have lived here for 9 years and have never seen them quite so close up. Thank you Darren and Bron.